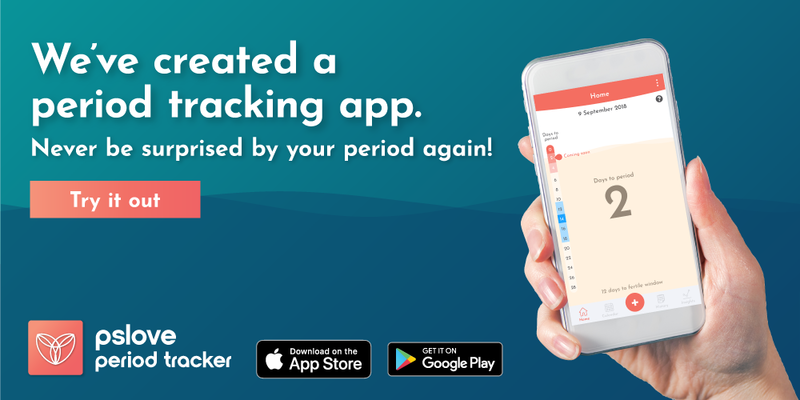 More than a year after MenstruHeat entered the shelves of 120 Guardian stores in Singapore, we’re proud to announce that NeckHeat has joined her sister! Here’s all you need to know about NeckHeat. Sitting at your desk for long hours can cause neck and shoulder aches. 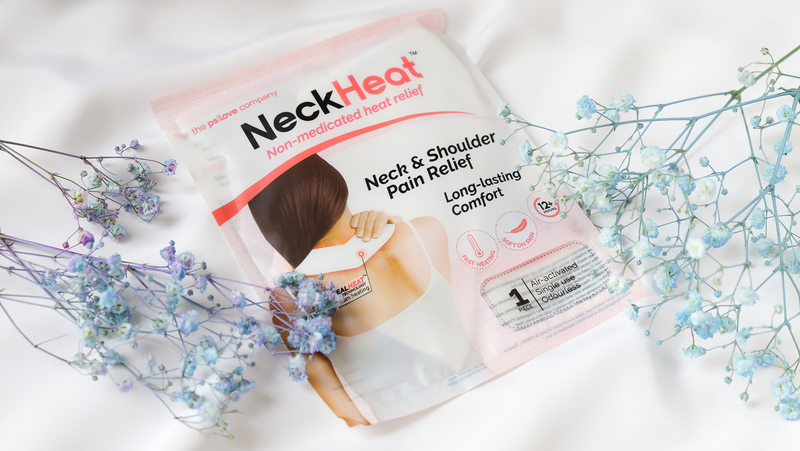 NeckHeat is a natural heat therapy patch that effectively reduces those aches and pains, offering all-day comfort. NeckHeat is designed to be comfortable and ergonomic – its unique shape allows it to fit snugly on the curves of the neck and shoulder. Because it doesn’t contain medication, using NeckHeat doesn’t have any side effects. It is odourless, discreet, and perfect for use in the office. 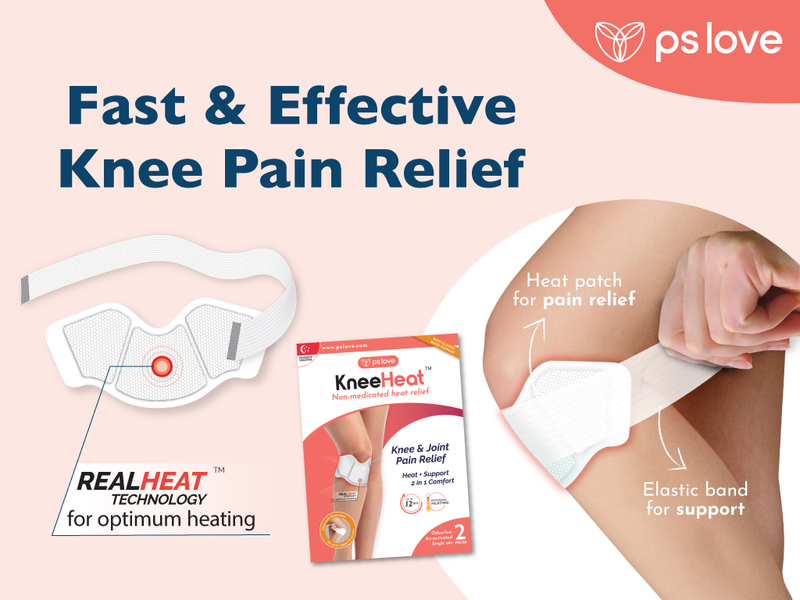 It provides quick & convenient relief as it heats up to a therapeutic temperature, lasting for at least 12 hours. For people with broader shoulders, or for relief at targeted areas of the neck or shoulder, you may split NeckHeat into two along the perforation and place the two sides where they’re needed. 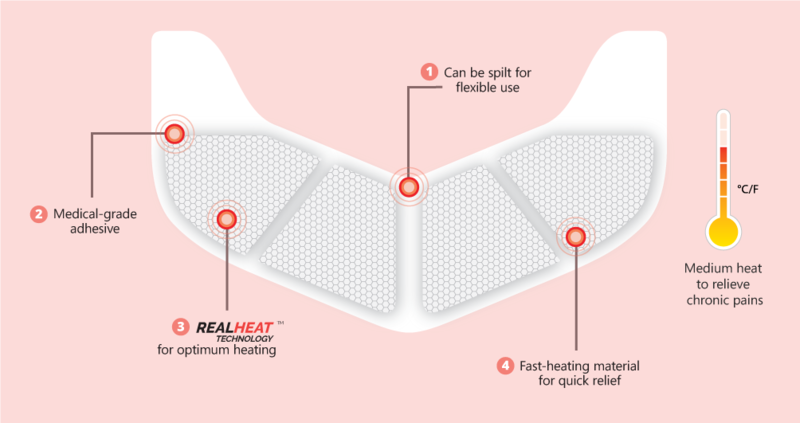 Each side is made to produce consistent and sufficient heat even when split, so you still get effective pain relief. The adhesive is secure, comfortable, and soft on your skin. It is fuss-free, and peeling it off your skin is easy and clean. We have optimised the ingredient mix to produce just the right amount of heat to relieve neck aches & shoulder pain. The ingredients are iron, activated carbon, water, salt & vermiculite (mineral) – non-medicated ingredients that won’t cause any side effects! Once removed from the packaging and upon contact with air, NeckHeat begins heating up within 5 minutes. This heat is sustained for up to 12 hours long! The cotton surface, layered with a porous membrane, controls adequate amount of air into the mix so that the heat can be released at a pace that is not too intense for the skin. 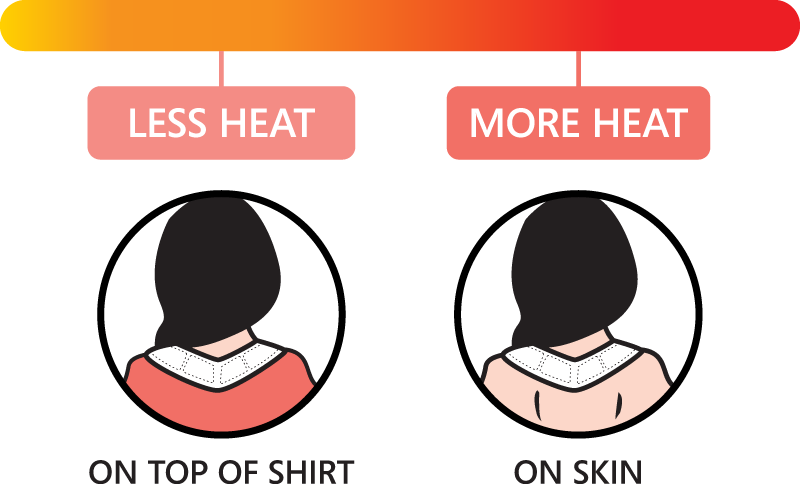 If you prefer less heat or have sensitive skin, paste NeckHeat on top of your shirt. We recommend this for those trying NeckHeat for the first time. If you prefer higher heat for more intense pains, paste it directly on your skin. 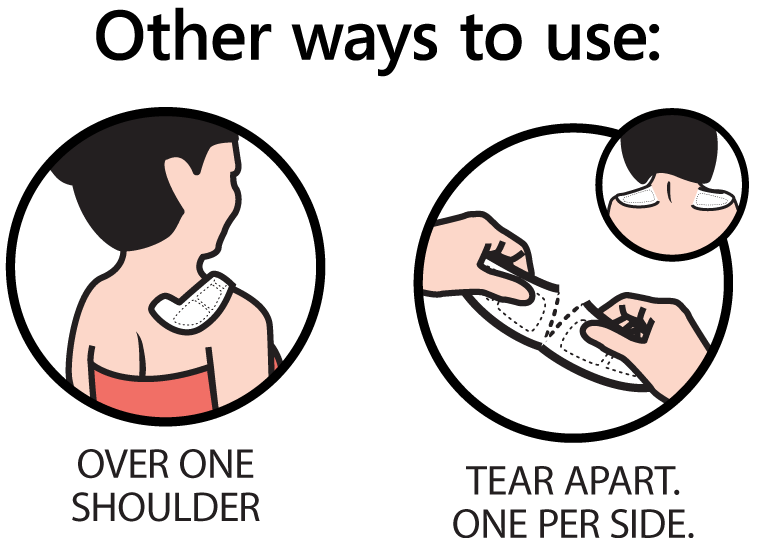 For more targeted pain relief, you can also paste it just over one shoulder or split it along the perforation to paste on both shoulders separately. For safety, remove NeckHeat for 5 minutes after every hour of use to let your skin rest. Prolonged contact to low heat may cause burns or blistering. Make sure that you do not use NeckHeat while sleeping. Still unsure about the effectiveness of NeckHeat? 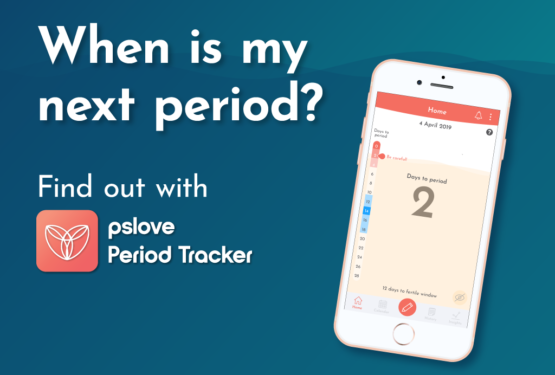 Hear from our happy users and how it has helped them with their daily lives! If you’re looking for a convenient and effective solution to your neck & shoulder pain, head down to a Guardian store near you now! 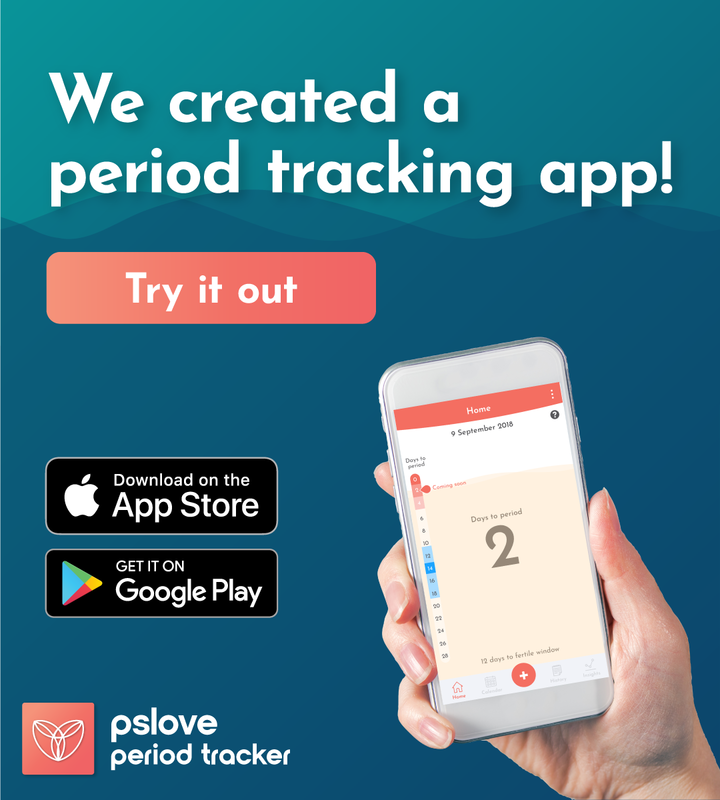 You can find the store list here.